We talk to a lot of crew every day, as you can imagine and something that has become clear to us (and now a lot of crew) is this. Nobody realises how much money they waste each month. So here are some tips. 1. Make sure your bank account is the same currency as your salary: If you get paid in Euros into a £GBP account for example this will cost you money every month before you even do anything. The bank will exchange your money into £ at a pretty bad rate and so it will cost you roughly 5% each month. Also, if you are doing this wrong you will almost definitely have a debit/ credit card in the wrong currency too so this will cost you every time you use it due to the exchange rate too. Lots of crew say to us “but my card has not foreign transactions fees”. This is great but it is still in the wrong currency and so you are still wasting your money. This all adds up to roughly 1 months salary per year. Now that got you thinking didn’t it? 2. Don’t bank offshore: Now lots of people will disagree with this or say “what do you mean? 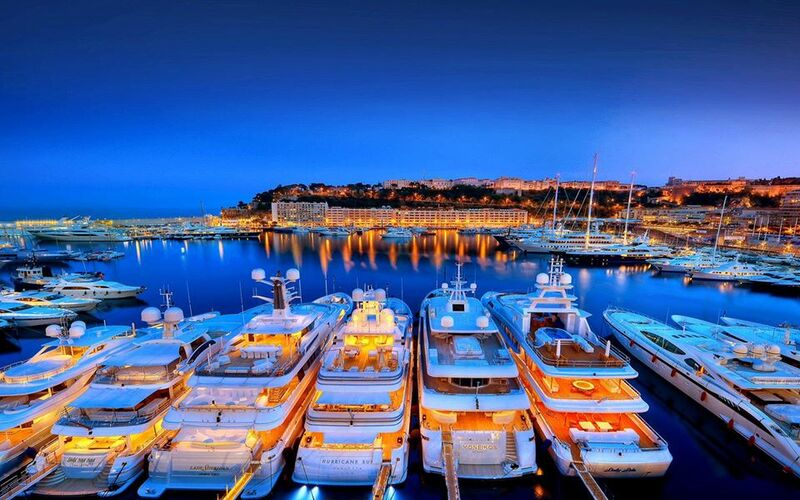 Offshore banking and Yachting go hand in hand”. Have you ever asked yourself why you do this? I can almost guarantee that 90% of you bank offshore because someone you work with encouraged you to. Offshore banks do have one benefit and that is a Euro or USD debit card, but that’s pretty much it. The card charges are high, the monthly fees are high, you earn no interest, there is a minimum balance requirement, it doesn’t help your credit rating, and contrary to popular belief YOU CANNOT HIDE your money there. In fact, an offshore account attracts more interest from the tax man than any other account. Therefore, think for yourself and compare the options. Some banks in most countries offer accounts with multiple currencies and most are free, you just have to find them or ask us for help. 3. Don’t use savings accounts: Savings accounts are rubbish so don’t waste your time, or more importantly your money thinking you are going to get anything out of it. You will be lucky to get 3% these days and that is pretty rare. DO NOT leave your money piling up in an account that is doing nothing for you. If you know what you are saving for and when you are likely to need those savings then do something to make this money work for you. Invest it. If you don’t know how, a regulated financial advisor will help you. But please, make sure they are regulated. 4. Do your taxes: If you are resident of a country where you are required to file a tax return then make sure you do it. I know some of you will disagree but if you have to do it and you aren’t it can only end one way. Badly for you. Do not build a sense of security thinking that you have not been caught yet because when you are caught, and you will be it will be EXPENSIVE. Much more expensive than if you had just done your taxes in the first place. Now I know some countries are much more favourable than others when it comes to tax and I can’t help that, but unless you are 100% certain that you don’t have to do anything (and have taken legal advice to support this) about your taxes then do yourself a favour and check where you stand. Doing your taxes also gives you access to all sorts of investment opportunities such as mortgages and pensions which you would really struggle to get otherwise. 5. You don’t own the yacht! : Remember, it’s not your yacht you just work on it. Therefore you don’t need to spend like the owner. Everyone gets carried away now and again as you get paid well and some earn great tips. A blow out after charter is normal but nobody should be getting to the end of the month short of cash. A sensible plan is to take 20-30% of your salary every month (as this is what your friends would pay in tax) and commit it to something. Whether this is saving for a house deposit, a pension, stocks and shares or a combination of all of these make sure you do something. You can still have a great time even whilst you are saving. As long as you don’t spend all your time off renting Lamborghini’s and eating dinner in Le Louis XV! Get in touch if you would like to discuss any of the points above or have just realised you need our help.